A method for the quantification of the effects of drugs upon the EEG and the EEG activating response using an Offner frequency analyser has been presented. The activating response has been shown to be graded in three respects: (1) latency of onset, (2) degree of depression of certain brain waves, and (3) degree of acceleration of frequency of certain brain waves. Using the degree of depression of activity of brain waves in the frequency range of 1.5 to 3.5 c.p.s. 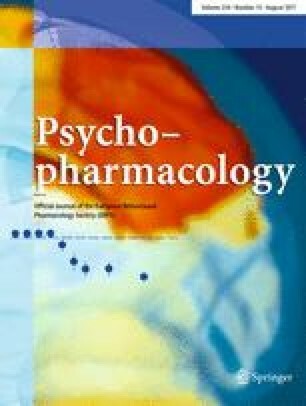 by graded stimuli to the midbrain reticular formation, it was possible to obtain estimates of the effect of drugs on the excitability and reactivity of the activating response. Simultaneous estimates of the excitability and reactivity of vasopressor responses to midbrain stimulation were obtained. Both the ascending activating system and descending vasomotor system seem to involve a muscarinic (atropine sensitive) synapse, however, evidence has been presented that, in addition to pathways involving a muscarinic synapse, these functions can be mediated over pathways devoid of muscarinic synapses. Comparing activation patterns obtained in the presence of atropine with those obtained in the presence of pentobarbital, it has been possible to dissociate two effects of activation on spontaneous cortical potentials: (1) inhibition or depression of cortical waves, and (2) acceleration of frequency of cortical waves. Both of these effects appear to be graded. Evidence has been presented indicating that the high voltage fast activity observed after small to moderate doses of barbiturates may represent spindle activity that has been accelerated by the activating system. Chlorpromazine and chlorpromazine sulfoxide were found to decrease the excitability of both the ascending activating system and the descending vasomotor system. The depression of excitability was better correlatedwith the adrenergic potentating property of these agents than with their adrenergic blocking activity. Atropine, chlorpromazine and chlorpromazine sulfoxide were found to increase both threshold and reactivity of the ascending activating system.